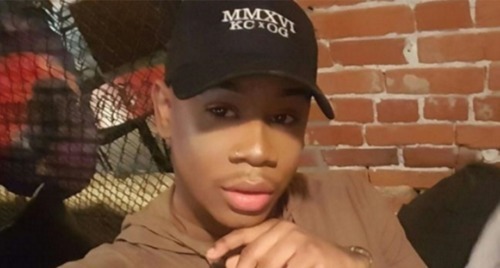 Was this gay man’s killing a hate crime or a tragic accident? TaRon M. Carson was coming out of a club in Kansas City in the early hours of Sunday morning, around 3 a.m., when he was shot and killed. Police said a dark SUV pulled out, people got out, shot Carson, and fled. No more information was available. Friends who were with him that night were not aware of any conflict or concern that could lead to such a violent outcome. Carson was taken to the hospital, where he died. Carson, 24, was a well known member of the LGBTQ community, and friends feared he might have been targeted because he was gay. Investigators, including some from the FBI, have been trying to determine whether the shooting would classify as a hate crime, said police Sgt. Kari Thompson shortly after the shooting. “This is going to take interviewing a lot of people and (collecting) surveillance” videos and photos,” Thompson said on Monday. Official said on Tuesday night they don’t believe Carson was the intended target, but have yet to release any additional information, and so far no suspects have been announced or arrested. A candle light vigil was held to remember Carson on Tuesday night, drawing around 100 people, who called for justice, including his parents, Monique Carson and Tarik Hopkins. They said they always encouraged their son to be himself, reports The Kansas City Star. He shared that he was in pain at the violent death of his son, but that he was proud of how he lived.